Vendors will be on hand with unique jewelry, kimono fabric fashions, cultural t-shirts, handbags, ceramics, origami, bronze and glass art, Giant Robot products, and more! Taiko performance by Yuujou Daiko at 1 p.m. Admission to the boutique is free. A $20 purchase gets you free museum admission (10/7/18 only) and a 10% discount at local participating Little Tokyo eateries during the month of October (some restrictions apply). Early entry to the boutique for JANM members at 9:45 a.m. Proceeds benefit JANM’s education programs. 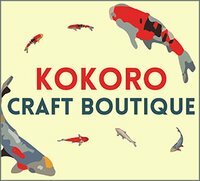 For more information, email kokorocraft@gmail.com or call 213.625.0414, ext. 1883. Brought to you by Friends of the Museum. JANM . Last modified Sep 14 2018 10:33 a.m.